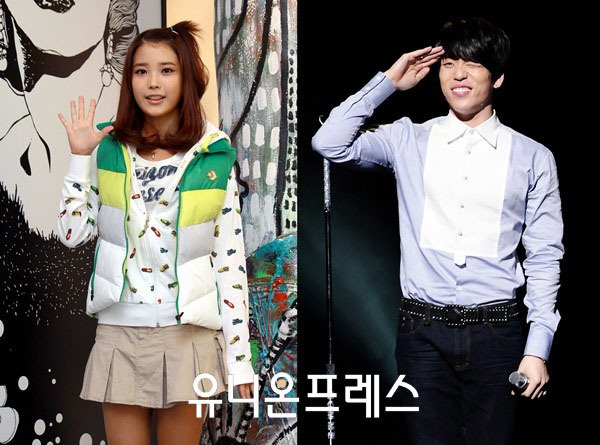 IU And 2AM's Changmin Named "Best Singing Idols"
Netizens voted for the idols with the best singing voice. IU and 2AM's Changmin received the most votes. Korean idols are known for their amazing vocals and energetic performances. But which idol has the best voice of them all? 2,287 participants voted in a survey asking the question "Who is the best singing male and female idol star?". IU and 2AM's Changmin were named the best singers. With IU's angelic voice and huge range, it is no wonder she was chosen by netizens by a landslide to have the best voice. She received 41% of the votes, over twice as much as any other female. In second place came SNSD's Taeyeon with 18%. Seo In Young came in 3rd with 10% of the votes. Rounding out the rest of the top ten were Lee Hae Ri (Davichi), Park Bom (2NE1), Jea (Brown Eyed Girls), Luna (fx), Hyorin (SISTAR), Narsha (Brown Eyed Girls), and Sunye (Wonder Girls). For male vocals, 2AM's Changmin came out on top with 31% of the votes. Netizens commented that even with the strong vocals of the rest of the members of 2AM, they were able to tell distinctly when Changmin was singing. JYJ's Xiah Junsu came in second place with 19% of the votes, while 8eight's Lee Hyun came in third with 13% of the votes. Rounding out the rest of the top top were Jung Yong Hwa (CNBLUE), Lee Hongki (F.T. Island), Kim Junsu (2PM), Simon D (Supreme Team), Jonghyun (SHINee), Kyuhyun (Super Junior), Yoseob (BEAST), and Daesung (Big Bang). Who do you think are Korea's best vocal talents?